The challenge of Expedition Charge Across Europe was to cover 8000 kilometers exclusively on foot from the northernmost point in Norway to the southernmost tip of Greece. They successfully created a worldwide awareness for the little known, often occurring CHARGE syndrome during their 20 months on the road. After 5513km in the city of Craiova, Romania the team faced unexpected challenges which brought their successful mission (until then) to a very sudden end. Illness and the lack of sufficient funding brought the expedition, the dream and the mission, to a final stop. Even though they had to face the facts and deal with the misfortune the team decided to get up and Carry On (in a different way)! 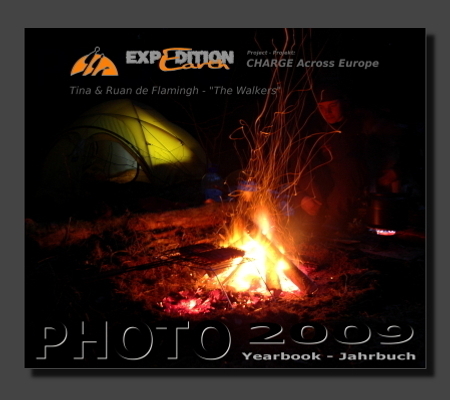 PHOTO YEARBOOK 2009 available for order now!